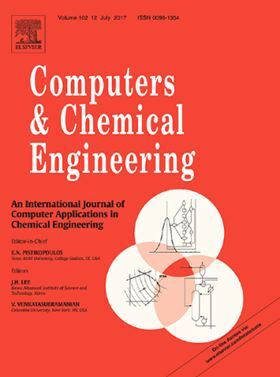 Elsevier journal Computers & Chemical Engineering. A novel design framework of an optimal and practical pumping schedule to achieve uniform proppant concentration across fracture at the end of pumping is presented. By using the average viscosity to approximate concentration dependence of fracture propagation, a set of constant-concentration pumping schedules is applied to the developed dynamic model, each of which is carefully chosen by taking into account the practical constraints such as the limit on the change of proppant concentration between pumping stages and the desired fracture geometry that has to be satisfied at the end of pumping for maximum productivity. Then, a practically-feasible target concentration profile is obtained via linear combinations of the generated spatial concentration profiles, and mass balance is applied to the practically-feasible target concentration to calculate the duration of each pumping stage. The generated pumping schedule is applied to the high-fidelity hydraulic fracturing model, and the performance is compared with Nolte's pumping schedule.